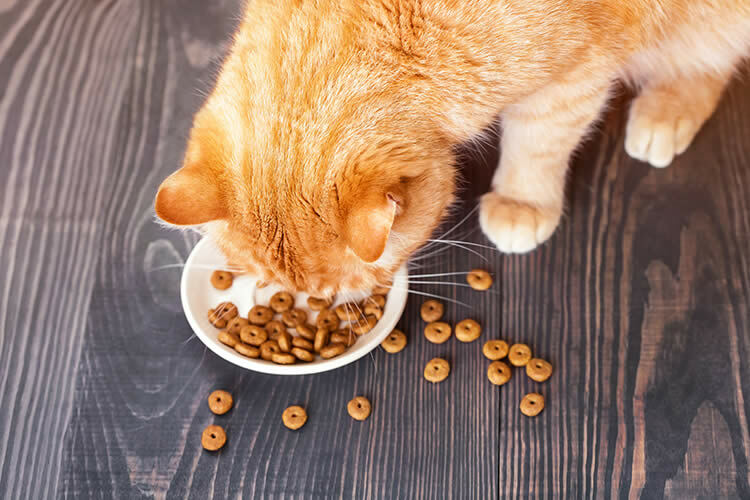 It’s not that your cat is a finicky eater – you’re just feeding him the wrong foods! If we can put ourselves in a cat’s paws, we can imagine what it might be like to be fed unappetizing foods. Like most animals, a cat’s dietary preferences are partially genetic and partially environmental. While the taste preferences of cats are still largely a mystery, researchers have discovered that they seem to lack taste bud receptors for sweetness but have especially sensitive receptors for bitterness. This may explain why cats are predisposed to be, for the most part, carnivorous. Animals who need starchy foods or carbohydrates tend to have taste bud receptors for sweetness. Since cats need a diet composed of mostly meat, they don’t need to develop a taste for carbohydrates or plants. On the other hand, the bitter receptors may prevent cats from ingesting plants that could be toxic. Since cats don’t need to eat plants and eating them regularly can cause nutritional deficiencies, the bitter taste bud receptors make eating them unappealing in most cases. Still, cats love to eat textured objects (cardboard boxes for example) so cat people should have only non-toxic plants in their homes. A cat’s upbringing and environment are major determiners in their taste preferences. Many variables in the environment play a part – from the time the cat is a fetus. The taste preferences are most likely ingrained during this time up to its kittenhood. Researchers believe that what the mother eats while she is in gestation is a big factor in the dietary preferences of her offspring. It’s unclear as to how the gestational period affects the fetuses but the quality and quantity of the mother’s diet will most certainly affect their health and development. As a result, the kittens may be predisposed to a certain way of eating from the quality of their lives in utero. After birth, a kitten’s nursing, weaning, and eating habits will determine much of their adult lives. If you’ve ever adopted a young kitten, you may be surprised to see him lurking around your plate of spaghetti or your teriyaki rice. Kittens who are raised by humans will naturally be more attracted to human food than their feral counterparts. Kittens will usually outgrow this penchant for eating human food and stick to their cat food and treats. By no means should you encourage their desire for human food which is more laden with carbohydrates. Try instead to keep tasty cat treats on hand. Make sure their food bowls aren’t empty. Kittens usually don’t have a problem with finicky appetites – unless they are sickly or malnourished in the first place. They normally have a healthy appetite and eating kitten kibble should be encouraged after they’ve been properly weaned. Another factor to consider is a cat’s stress level. A cat will not eat if he feels threatened or uncomfortable. If you’ve just adopted a cat, he won’t be interested in food at all, at least for the next 12 to 24 hours. He will be searching every corner of the house and he will be on alert for dangers in his new environment. Let him be but leave a bowl of tasty food out for him. If necessary, entice him with cooked fish or meat pieces until he gets his bearings. After he has assured himself that his new home is sound, he will be very hungry. Trying to find a suitable product for a finicky cat is more of an issue for mature cats than kittens. You may need to grab samples from your local pet supply store. Many cats love the freeze-dried raw diets which are simply mixed in water at feeding time. For a finicky cat, a meaty diet is best; fishy cat food is often enticing to their palates. If your cat is not eating properly after you’ve tried these strategies, you will need to take him to the vet. A day without drinking water and a couple of days without eating food is a sign that something is wrong. A toothache is a common problem. Older cats are susceptible to kidney problems. He may be in pain from an underlying illness which is causing a lack of appetite. Always err on the side of caution – a cat cannot go for long without food and water without causing irreparable damage.